LinkedIn; exploiting our need to network? On LinkedIn what goes on is everybody’s business; you connect with people who you think are ‘valuable’ to you and therefore need to know what people are getting up to… Unlike Facebook and other social networks. At the side of each profile a handful of job ads are displayed; these are not random..they’re tailored to advertise jobs you want- i.e. targetting your skills, experience and qualifications. The more information you’ve given on your LinkedIn profile the more detailed and specifically tailored your ads may become, Is this a good thing? Would you rather see ads which are tailored to you OR would you rather see random ads? Is LinkedIn just ANOTHER distraction? Has LinkedIn, much like Facebook; Twitter etc. just become ANOTHER distraction from our social life and jobs? 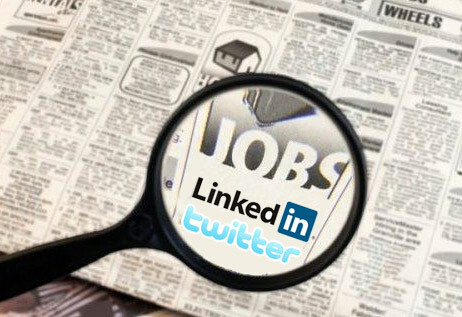 It would seem so; as the amount of pageviews on LinkedIn profiles are increasing faster than the amount of people joining up to the social networking site. Surely this mean people are using LinkedIn much more?! What’s not to like about LinkedIn? Well some people dislike the fact total strangers can request to connect with you. However, LinkedIn have come up with a policy that after so many rejected connections you’re no longer allowed to use the “connect” feature; so removing your ability to request to connect with other people. Is this a good policy?